Azerbaijani citizens can visit 66 countries in a visa-free regime, Trend reports with reference to the updated Passport Index global ranking prepared by the company Henley & Partners. At the beginning of 2019, the citizens of Azerbaijan, just like three months ago, enjoy a visa-free access to 66 countries, according to the report. 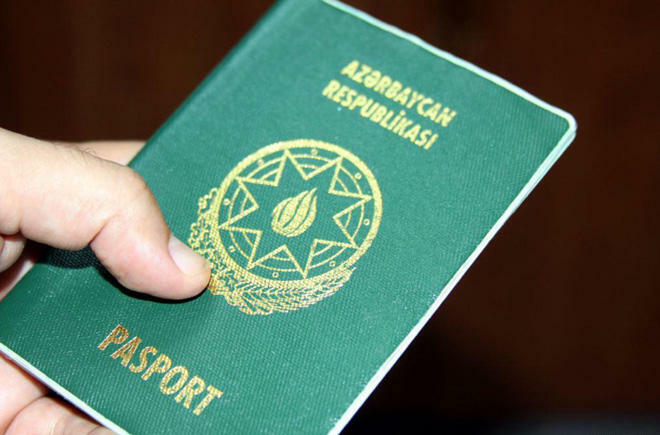 At the same time, Azerbaijan has risen by one notch in the Passport Index and ranks 74th out of 104 countries, the company said. It is noted that a year ago, the citizens of Azerbaijan could visit 63 countries without a visa. In addition, in the first quarter of 2019, Japan became the leader in the Index, and its citizens can visit 190 countries without a visa. A year ago, Germany ranked first, when its citizens could visit 177 countries, reads the report. Now Germany shares third place with France (188 countries with visa-free visits). South Korea ranked second, as in three months it added India to the list of visa-free countries and rose by one notch in the Index. Singapore also ranked second with 189 countries, according to the report. Also, over the past three months, the figures for Russia, Turkey and Kazakhstan remained unchanged - 119, 111 and 76 countries with a visa-free regime, respectively. Georgia concluded agreements on visa-free regime with the two countries, and ranks 51st with 114 countries. Iraq and Afghanistan remain in last place in the index - 30 countries with visa-free visits. The UK and the US continue losing positions in the index, and rank sixth (185 countries). Experts explain a significant drop from first place in 2015 by the closed-door policy of both countries, the report said.